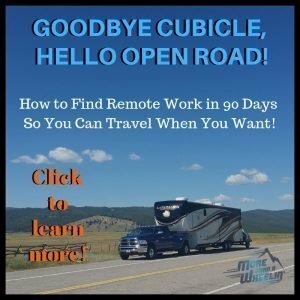 So, you want to go try out camping but you don’t have an RV, camper or tent? Either you don’t have the storage space for any of those or you just don’t want to spend all that money getting all the camping gear necessary for a comfortable camping experience. Well, you still can enjoy the camping experience! 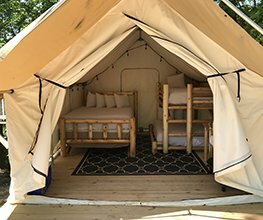 We’ve noticed several campgrounds, parks and resorts have alternatives to camping…er….glamping. They are sturdy shelters that may protect you and your family from the elements yet give you that camp ambiance. 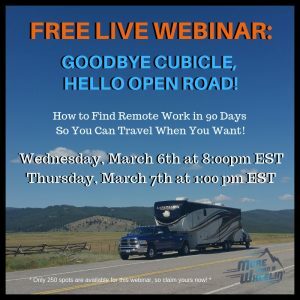 We surely wished we would have known about these options when we were hardened motorcycle nomads! 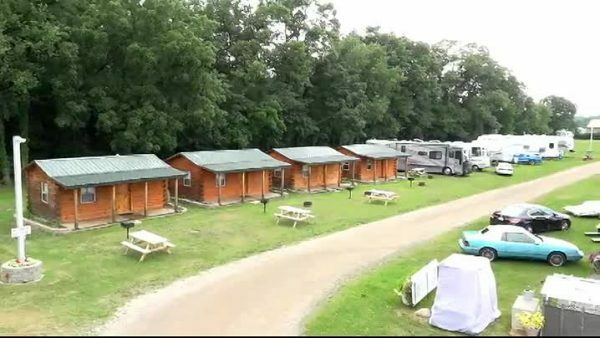 Nationwide, KOA’s and Jellystone Parks have them to rent. 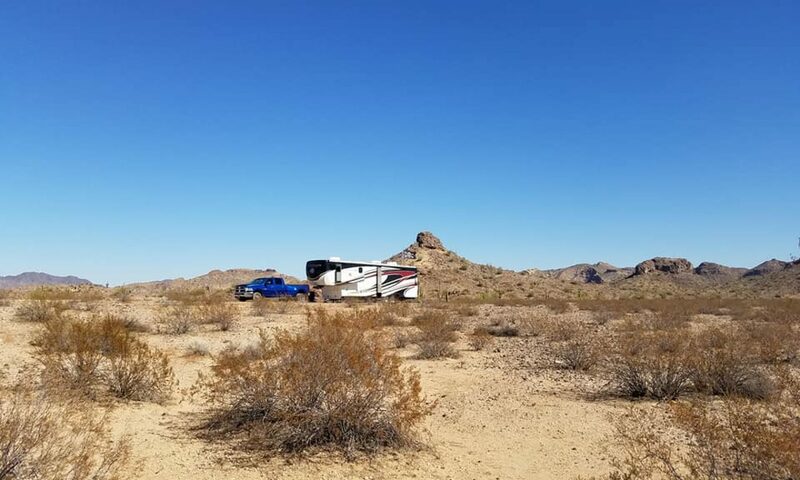 It’s awesome to see that camping is available to families, couples and solos who don’t own RV’s or tents and who are on limited funds. 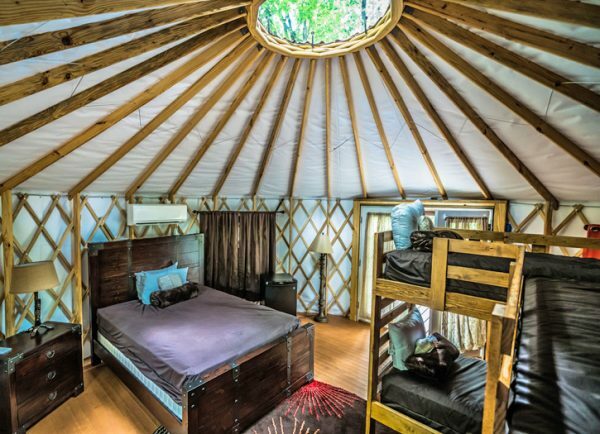 Here are five alternatives to camping; cabins, yurts, cottages, casitas and glamping tents. 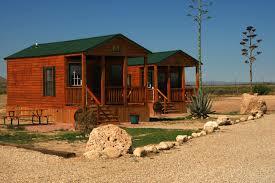 Typically, cabins are a small shelter or house, made of wood and situated in a wooded, remote or separate area. Rental cabins can be found everywhere. 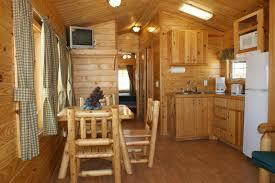 KOA’s have the signature log cabins throughout their campgrounds nationwide while Jellystone Parks have their version. 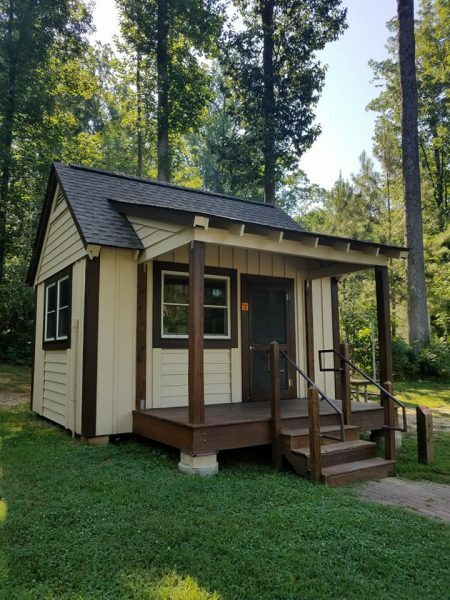 You can rent a cabin with one bedroom to several. 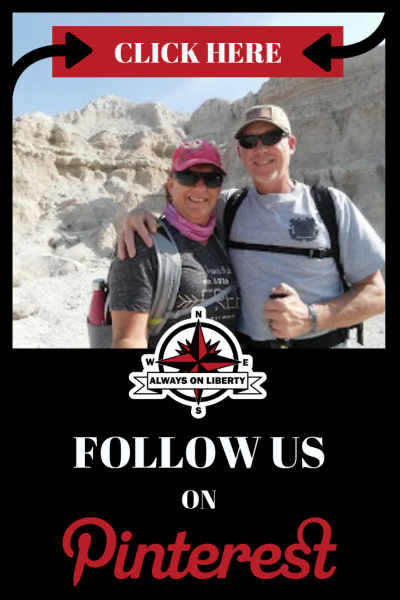 Through our travels, we also see them at various State Parks and private campgrounds. 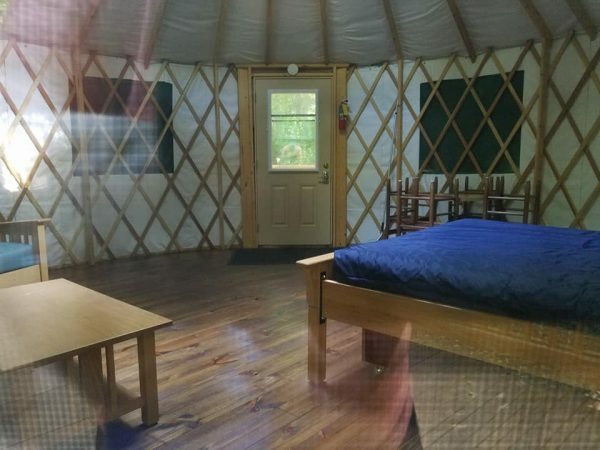 While they are much more than a simple camp site, they offer more sturdy protection with a homey amenities. Cabins have been a campground staple for awhile. They most often, consist of a bedroom and seating area. Some may have a small kitchenette and small bath. Some may provide bedding while others may require campers to bring their own. They are out there for those who don’t want to rough it completely but feel like camping. 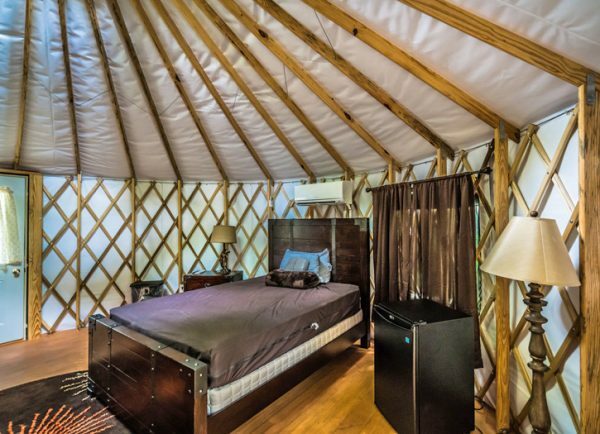 A yurt is a circular tent of felt or skins on a collapsible framework, used by nomads in Mongolia, Siberia, and Turkey. 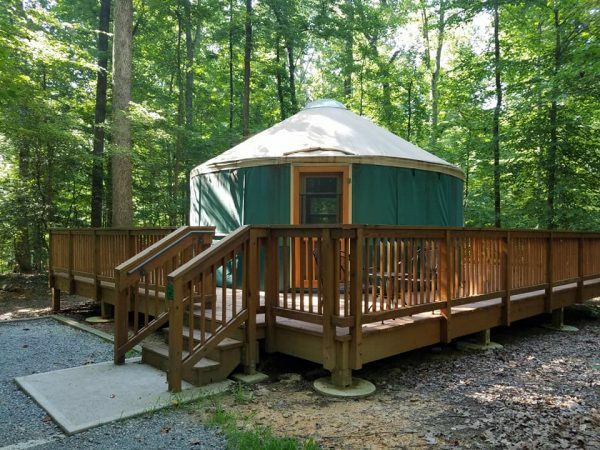 Today, these camping alternatives have become quite popular in the United States. They are typically a single room that consists of a bed, a sleeper sofa and seating areas. 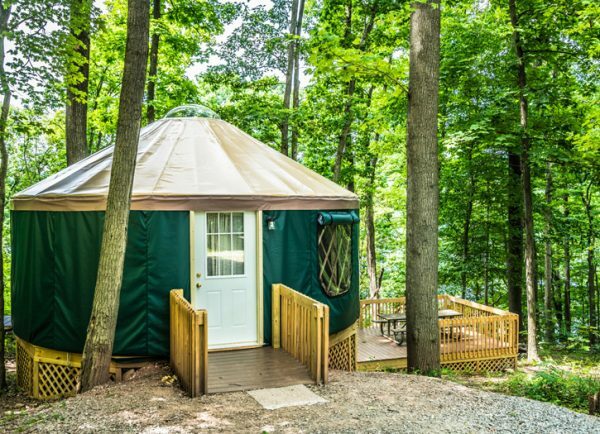 But also, yurts have been taking state parks by storm. Meet tiny house! 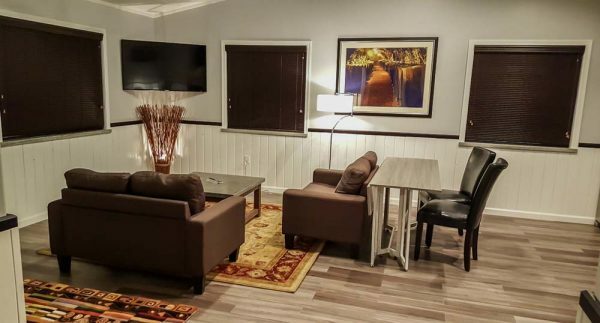 We’ve been to a few RV Resorts that have these awesome cozy cottages. 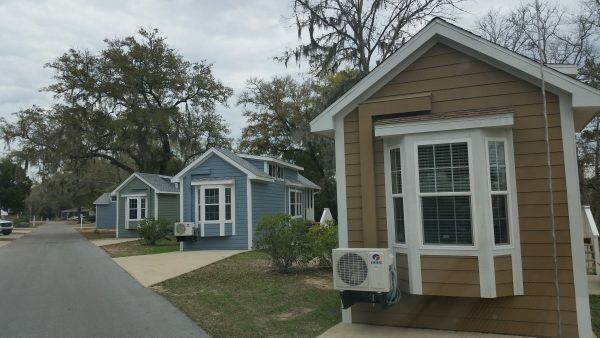 Our first year of RVing, we fell in love with these little 400 square foot all amenity cottages at Live Oak Landing; an RVC Destination in Freeport, Florida. We toured a couple models and found they were quite comfortable with beautiful, updated features. We could actually live in one; they were that awesome! Actually trailered in, they are set on blocks at their site. These tiny houses have short lofts however, they are perfect for little ones or storage because of their low ceiling height. 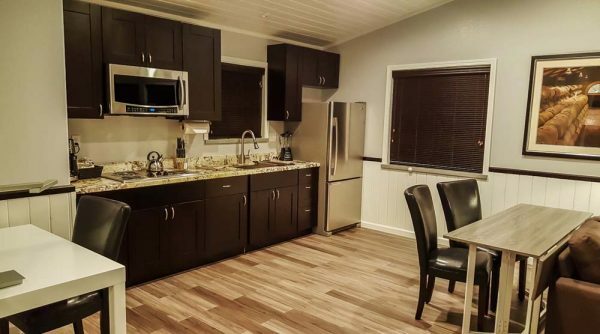 Also, at Wine Ridge RV Resort in Pahrump, Nevada, they had similar cottages as Live Oak Landing. They are arranged uniformly in rows like RV’s on the opposite side of the resort. They have their own driveways and small patio decks. Travelers flying in from Las Vegas stay in them to attend local events and weddings. In our opinion, they are so much more personable than a hotel room. 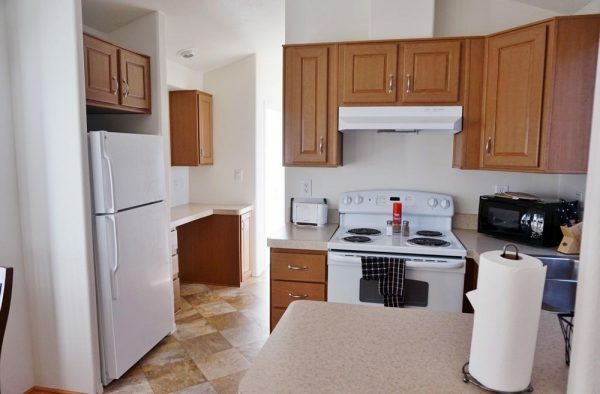 Casitas can be a little bigger than cottages but with finer amenities; more like an apartment. 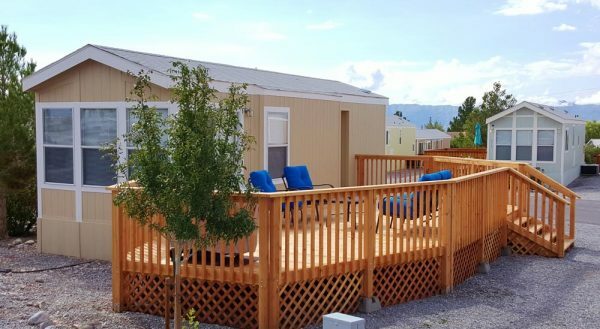 At Wine Ridge RV Resort, these little, blue roofed darlings greet guests as they pulled in. 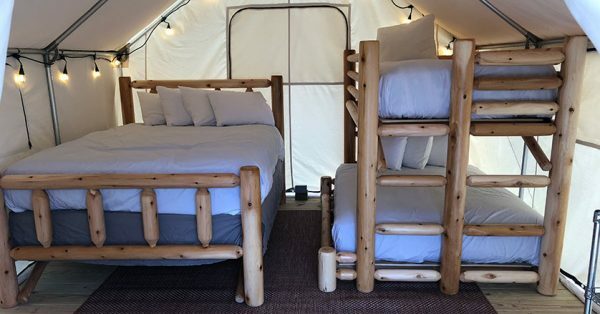 Glamping Tents!! You’ve probably seen these on Pinterest. 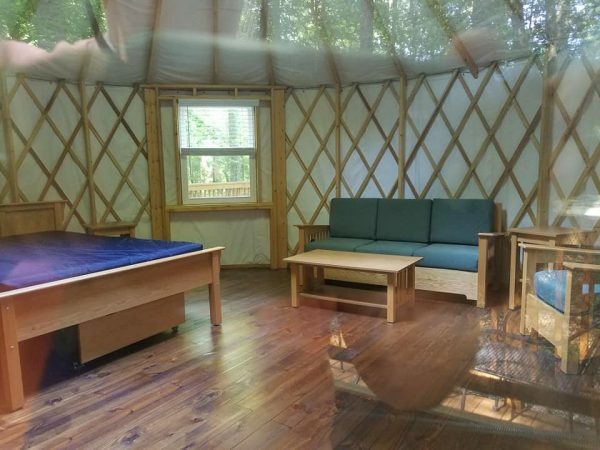 For those who still want the feel of tent camping but want the comforts of a real bed and mattress with a coffee pot by their side, this is your kind of place! 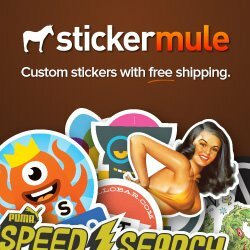 I recently learned about these in another blog and was super excited to share information about them. Jellystone Park Pigeon Forge has these. They remind me of tents used in the Civil War reenactments but more modern; same basic idea though. They are intriguing, aren’t they? 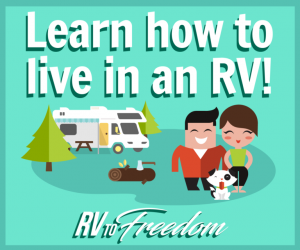 All of these camping alternatives can be rented out just like a hotel or RV site. You make reservations just the same. They will probably require a reservation deposit as well as a cleaning fee. Holidays and Seasonal usually have higher rates. The full amount must be paid at the time the reservation is made for holidays. 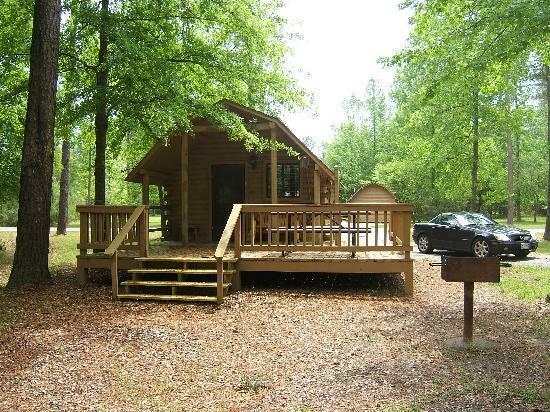 Most require a minimum of a 2-night stay in the cabins for holidays. Most, if not all, don’t allow pets so Fido and Fluffy will have to stay home. 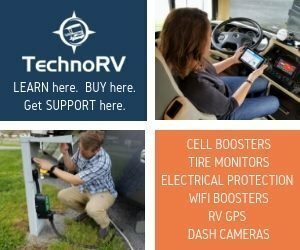 If you’re an RVer and you want your extended family and friends to join you for a week or weekend, consider these alternatives than staying in some roach motel or high priced hotel. 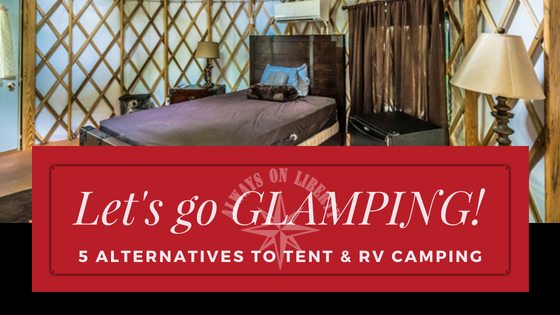 So as you see, you don’t need a fancy tent, camper or RV to enjoy glamping. 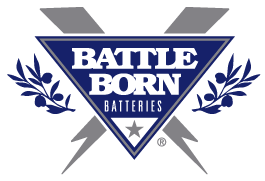 You can have the best of both worlds without sacrificing your wallet. Now, go out there and find one that suits you and your family! 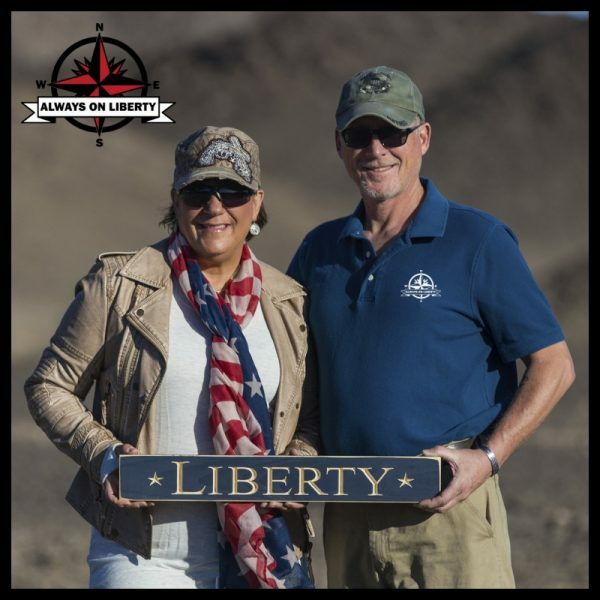 Blogger’s Note: We were not compensated by any of the campgrounds, RV parks or resorts in this blog. This article is intended as an informational blog only.